We have Louis Ernest Ladurée and his eponymous patisserie to thank for perfecting the modern French macaron, but it’s a German that lifted the pastel-hued featherweight Gallic cookie to new heights in this town. Pastry Chef Armin Hack was born to a family of bakers in Düsseldorf before coming to the United States in 1993 to work for a Miami-based catering company. 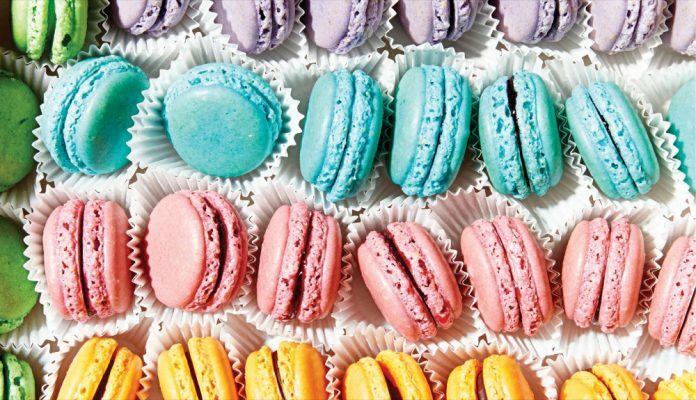 He and his wife, Melanie, landed in Cincinnati in 2001 and four years later opened Frieda’s Desserts in Madeira, where he bakes macarons in batches of 200. Each petite treat is composed of two airy meringue discs sandwiched together with rich ganache. “It’s the perfect bite,” declares Hack. Not one to skimp on ingredients, he only uses almonds from Spain and California for cookies that run the flavor gamut from classics like pistachio and rich dark chocolate to more outré originals—think PB&J and electric key lime. Snap away, Instagrammers.